Sitting down in a pizzeria in downtown Milan, twenty minutes are enough to understand that Elena deals with problems with a smile but also with the firmness of a steamroller. She isn’t the self-pitying type. While telling me her story she stopped at some point, she stared straight at me, and slowly opened a sort of parenthesis in her speech: ‘Let me be clear: we accept everything, we deal with everything, there are worse things than this. What counts is that Rebecca is ok and can live her life’. 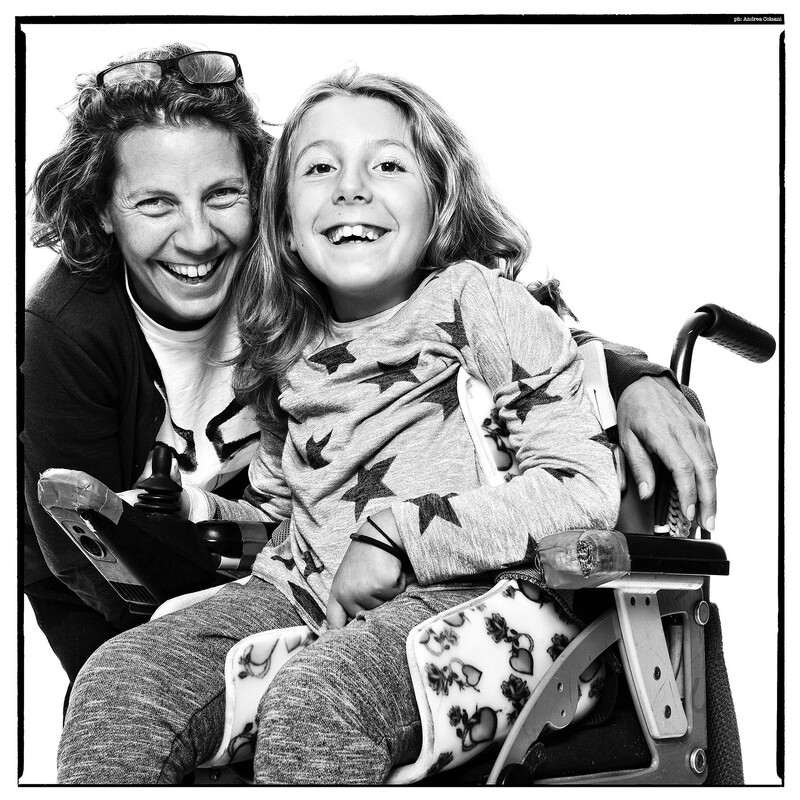 Elena Muserra De Luca is 47 years old, she is a Milanese from Milan, and Rebecca is her daughter, she is 9 years old and is suffering from second level spinal muscular atrophy.